A 24 hour emergency dentistin the neighborhood could prove to be very helpful if you happen to require dental services at an odd time. Be it a toothache, a matter of dentures or a matter of oral cancer screening and treatment, emergency dentists are aware of all that needs to be done. Additionally, they are good to go, around the clock. This makes the lives of people easy and keeps all dental-related stress away. Sister cities with a city in Russia and another in South Africa, Berkeley has a little over 110,000 people. About 12% of those people are above 65 years of age, which means they are the risk of facing dental issues that could require instant medical attention. 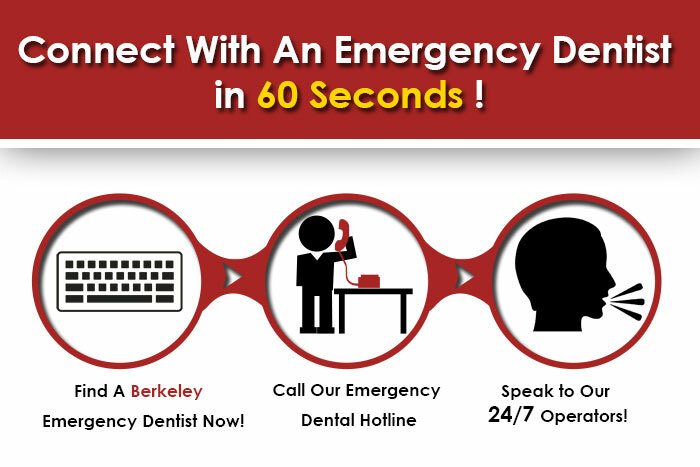 A hip city, Berkeley has its share of emergency and 24 hour dentists who make sure that no patient is in pain. Famous for its universities and the education they provide, Berkeley is home to a series of laboratories too, all of which are constantly busy with findings and researches. If you also are trying to find an urgent dental care San Francisco clinic, click here. Maintaining the dental health of a large base of patients, Dr. Sharon is a professional dentist who could be reached via a call at 510 658 1996. According to an offer made by her clinic, if you have an Invisalign treatment, you receive a teeth whitening treatment for free. Furthermore, you also acquire free Invisalign consultation. A number of reviews on her website confirm her capabilities, speaking highly of her and her work. If you require dental implants, cosmetic dentistry or laser dentistry, look no more and visit the Transcendentist dental care center. With a group of welcoming professionals who are skillful and swift with their services, this dental care unit is one of the best of Berkeley.Transcendentisthas a Facebook page where you could read comments of individuals who had already visited the center. There was a bunch of old patients who claimed that they received a foot massage while they had a dental check-up or procedure done on them. If that is not interesting and amazing, we do not know what is! To reach Transcendentist, call at 510 841 3040. Call at 510 526 1757 to reach the team of experts at North Berkeley Dental Arts. Their website contains impressive reviews and an online form for the case of quick appointments. Additionally, the website contains educational videos that give potential patients an idea of their knowledge on dental and oral health. Well-known for her experience with patients, especially those who require instant medical attention, Dr. Helen Thai deals with both adults and children. To reach her, place a call at 510 841 0708. Her center is warm-looking and has a series of helpful staff members to make your experience worth remembering. Are you looking for emgercency dental clinics in San Leandro, CA?